Cozyswan GP9 projector can deliver 50% more brightness than normal LCD projectors. Of course, you will enjoy great viewing experience. Because it lets you adjust screen size from 32 inches to 130 inches, however the best screen size can be 100 inches. This Cozyswan GP9 LCD mini projector carries LCD source technology that makes the projection very clear. With this LCD projection, you will not get inflicting issues such as optical harm as TVs, laptops and other screens. The technology is good to save your eyes and it allows you to enjoy movies, spots and televisions comfortably at home. It supports projection distance from 3.43 to 13.12 ft. (best for 7.2 ft.). If you are using this projector in a dark area then it will bring you good visual experience without any doubts. Further, Cozyswan GP9 supports multiple inputs letting you connect to computers, Amazon Fire TV Stick, Roku Steaming Stick, Chromcast, Laptops, TV Box, DVD, PS3 and many others. 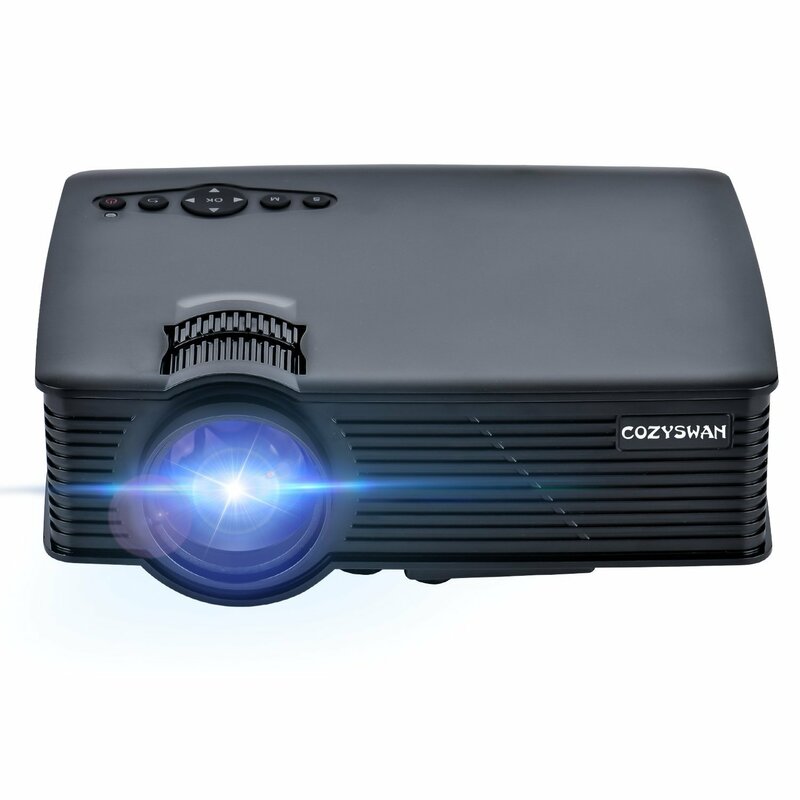 If you want a lightweight projector then Cozyswan projector is good for you as it is a lightweight and easy to carry projection. The portable size is 8.2*3.1*6.6 inches. It can be a great projector for Christmas and Thanksgiving Day party, home cinema, camping entertainment, sports events and television series. Further, it is supported with three years of warranty, in this warranty period, you will be fully assisted with award winning customer service and technical support. How do you view pictures from an SD card on this projector? It has a slot but I don’t seem to be able to view my pictures by putting the SD card in.